Cedar Plank Salmon on the grill or in the oven…either way it’s so juicy and full of smoky flavor. We had cedar plank salmon last week and it was so good! 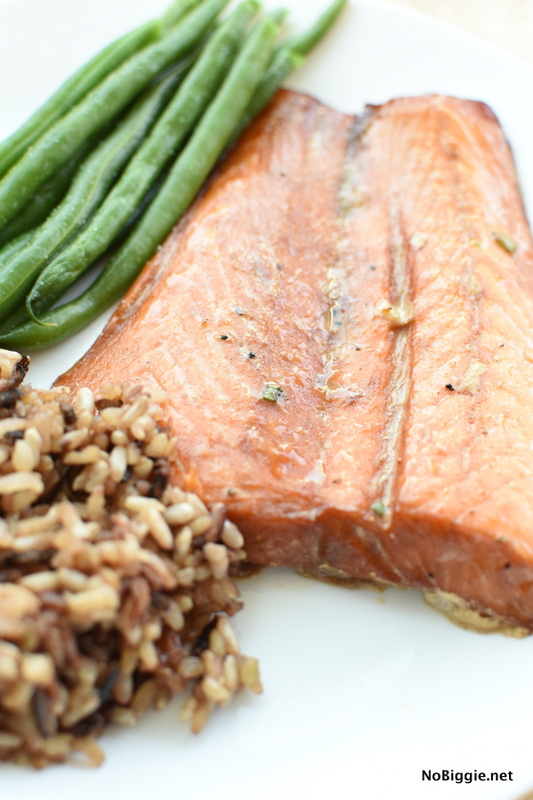 We served it with wild rice and fresh steamed green beans and it was one of those perfect Summer dinners. 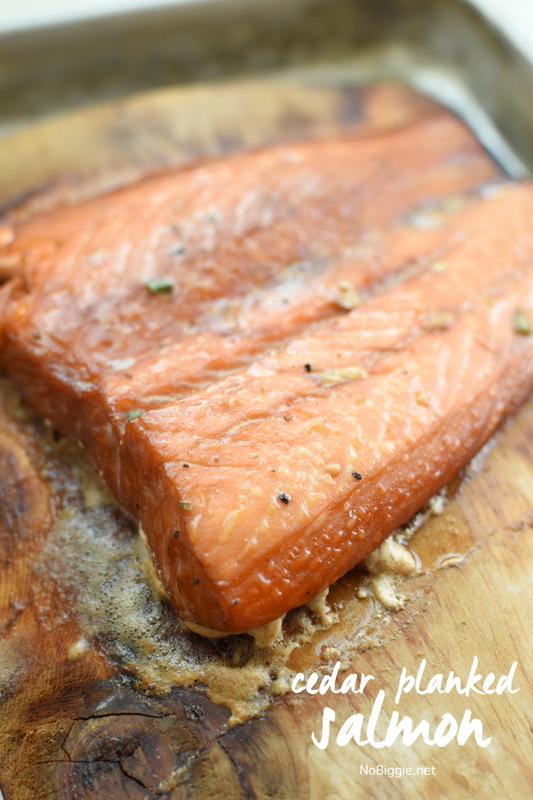 Did you know you can cook salmon on a cedar plank in your oven? Yep…you can! Cooking it in the oven is great if you don’t feel like firing up the grill, this is a great alternative. We love this salmon marinade, it adds so much flavor and when you cook it on a cedar plank it adds a nice woodsy smoky flavor. How long do you cook cedar planked salmon on the grill? When the grill is hot, you can add the cedar plank in the center of the grill with the salmon on top. Cover the grill and cook until the salmon is cooked through about 20 to 30 minutes with an internal temp of 135F. 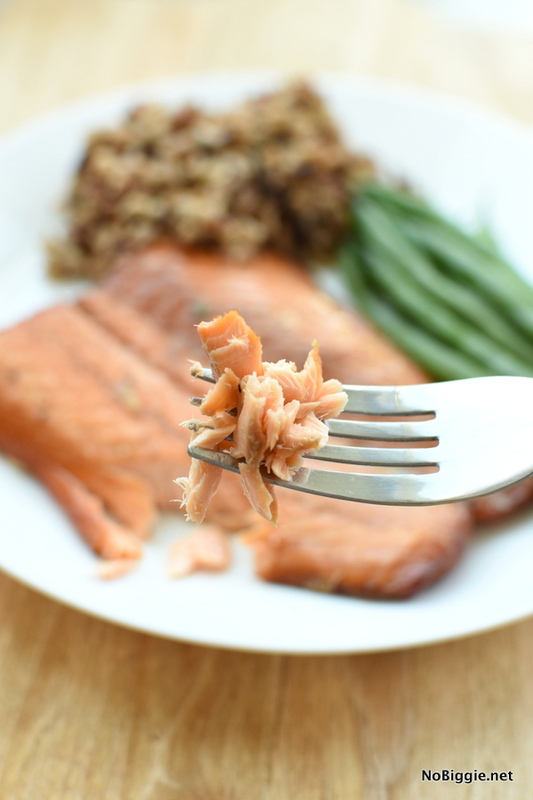 You will know it’s ready when the salmon fillet can be flaked with a fork. You can serve it right off the plank. In a large sheet pan soak the cedar plank in water for at least two hours, making sure to soak both sides during this time. Mix all marinade ingredients together. Place the salmon in a gallon sized plastic bag and add the marinade to the bag. Remove excess air from the bag. Marinate and refrigerate the salmon for at least 2 hours. Warm up the grill. Place the marinated salmon onto the cedar plank. Close the grill and cook about 20 to 30 minutes. The salmon is ready when it has an internal temp of 135F or you will know it’s ready when the salmon fillet can be flaked with a fork. You can serve it right off the plank. Serve it with seasoned rice and fresh steamed vegetables. 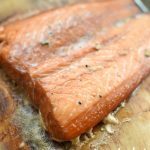 Cook Cedar Plank Salmon in the Oven – In the oven you will bake at 325F for 30 to 40 minutes until the salmon fillet can be flaked with a fork. Why cook salmon on a cedar plank? 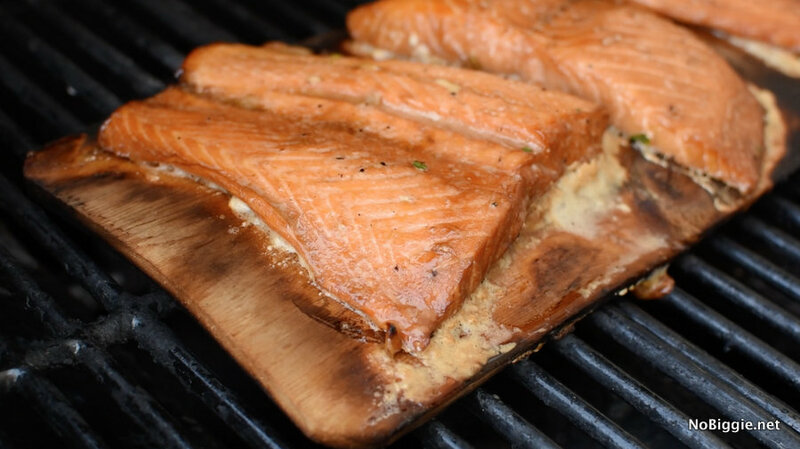 Grilling salmon on a cedar plank, the steam from the cedar plank is released, keeping it moist and tender. The cedar plank also adds a woody smoky flavor. It’s so good. Did you know you can reuse your cedar planks? If used with care, you can reuse a cedar plank at least three or four more times. When it comes to cooking salmon on a cedar plank, you might wonder if this method works better with the salmon skin on or off, you can cook salmon with the skin on or off with this method. We cooked is with the skin off, only because that is how I bought it at Costoc…and it turned out excellent. If you end up cooking it with the skin on, make sure to place the salmon skin side down. Do you love salmon? Have you tried cooking it on a cedar plank? 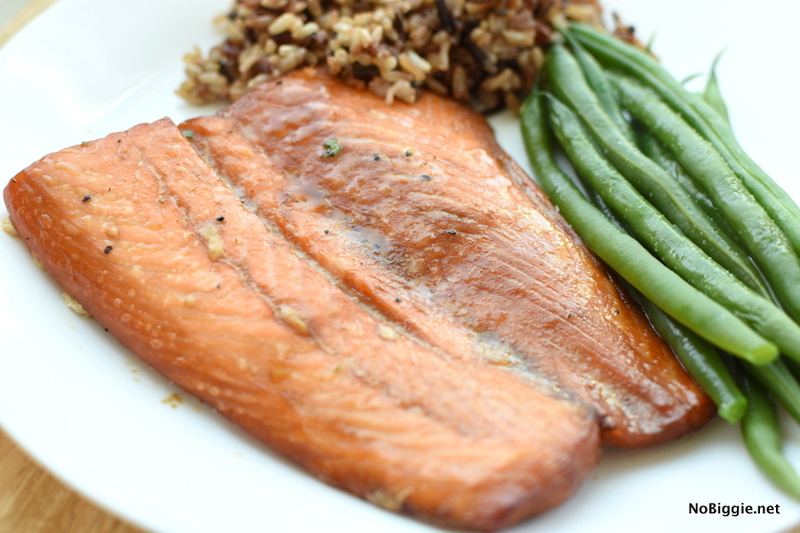 I’d love to hear your favorite way to cook salmon!